The old Adelphi speakers awaken with a dull crash and a series of oddball digitized sounds meld and merge. 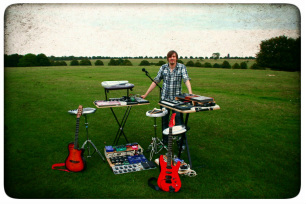 The creator stands behind a trestle table of electronic instrumentation and gadgetry, that gives Phill Wilson his credentials for being MyOneManBand. Tonight he is sounding like a mechanical Mogwai with European eclecticism. Under laid piano melodies and portentous chimes augur sonic motifs that emerge, live a little, then fade only to re-emerge transformed anew later. The sound plateau's on a busy escarpment of dance beats recalling the more cerebral Orbital outings. Always the showman but never showing off, the tempered laser beam outro with retro-synthpop air, leaves the crowd wanting more. 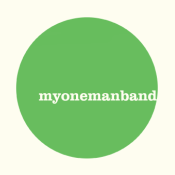 MyOneManBand has picked up a number of positive reviews and interviews for his improvisations, installations and collaborations; below are a few of the best.